One year ago today, Yemen saw it’s first call demanding the ouster of longtime ruler, Ali Abdullah Saleh. Early January 16, 2011, less than 30 protesters, led by Nobel Prize winner Tawakul Karman, gathered at the gates of Sana’a University, raising banners against Saleh, and demanding that he leaves power. Locals who saw this simple act of democracy mocked them. No one thought that removing Saleh from power was possible. One month later, the number of protesters increased to over a million, and spread like a powerful wind to every province in the country. The calls for change took Saleh, opposition, and the nation by surprise. By March, half his loyalists defected and from there on, Saleh knew he would fall from power soon. One year later, Saleh will be forced to leave Yemen within the next week, with hundreds of thousands still protesting, but this time, against the immunity he was granted in the power transfer deal. The 16th of January will be celebrated for many years to come. It will be remembered as the day weak and unarmed youth got together and forced the powerful Saleh out of power. Generations will look back and consider those who participated in these protests as heroes. Parents will read their children bedtime stories of those who sacrificed their time, wealth, health, and even life for the sake of a better Yemen. On this day, our condolence goes to the families of those brave men and women who risked their lives for a better tomorrow. More than 1000 youth were killed for the sake of Yemen. One year has passed and Yemenis do not regret going up peacefully against whom0 they consider, a dictator. They knew one thing; No prosperity can take place in Yemen with Saleh as president. That is why Saleh had to go. 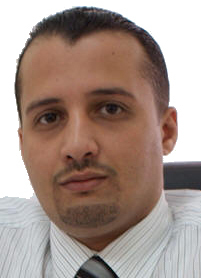 Hakim Almasmari is an American journalist and Middle East expert based in Sana'a, Yemen. His work has appeared for many of the worlds top media outlets including The Wall Street Journal, CNN, Washington Post, AlJazeera, Fox News, The Guardian, The National, USA Today among numerous others. He has also worked with some of the world’s top organizations. Reporting out of Yemen for nearly eight years, he is the current editor in chief for the Yemen Post. He is a university lecturer in the field of international media and also studied business and law. Considered one of the top experts on Yemen, Almasmari has closely worked with international strategic centers and think tanks helping them better understand Yemen. He is a frequent guest on many international TV outlets discussing current local and international affairs. Almasmari's ancestors are from Yemen, and was born in Detroit, Michigan, USA. His mother tongue is English and is fluent in Arabic.